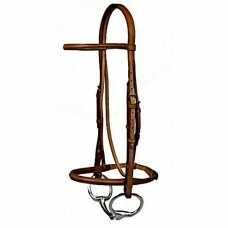 Wexford Raised Snaffle Bridle with raised brow and noseband, and laced reins This is our most popular novice and intermediate hunter bridle. 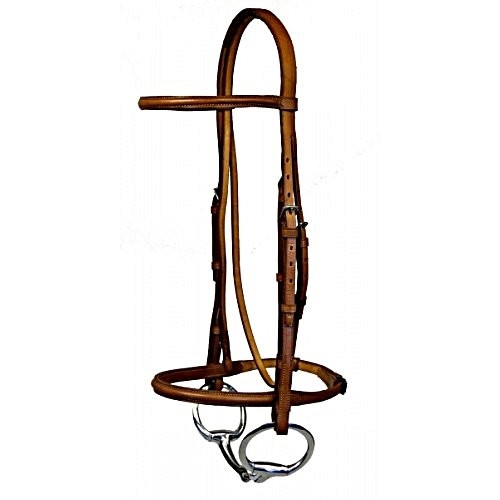 Wexford bridles are made of aniline grain leather tanned with traditional tanning methods. This means that it will properly accept oil when you clean and oil your tack. This tannage has no objectionable odors. Stainless steel hardware. Wexford is our better quality, good for working, pony club, 4-H, beginner, and intermediate - nice enough for showing and durable enough for everyday schooling. Wexford is a great value. These imported bridles are sold with Laced reins (not shown) and without bits.